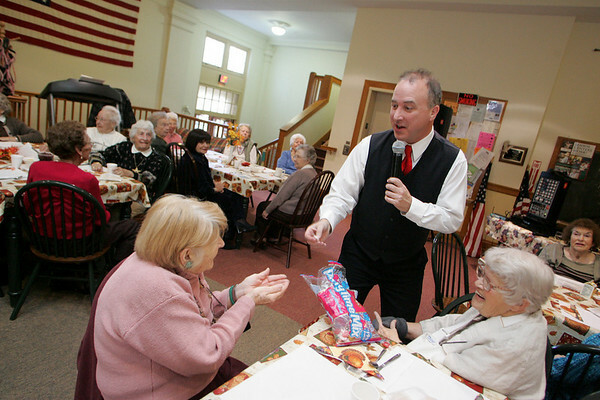 Rockport: Greg Curtis hands out a piece of candy to Ann Marie Frisone while singing "The Candy Man" at the Rockport Senior Center Thursday afternoon. Curtis provided entertainment for the Thanksgiving Luncheon put on by the Rockport Council on Aging. Mary Muckenhoupt/Gloucester Daily Times.